Swapping genes between symbionts and their hosts are very rare events. Animals have developed mechanisms to stop this from happening. Animals strive to stop other organisms from high jacking their genomes. Are we going to select for horizontal gene transfers? No. We could use gene editing to move genes between species, but the consumer acceptance of this has not been great. 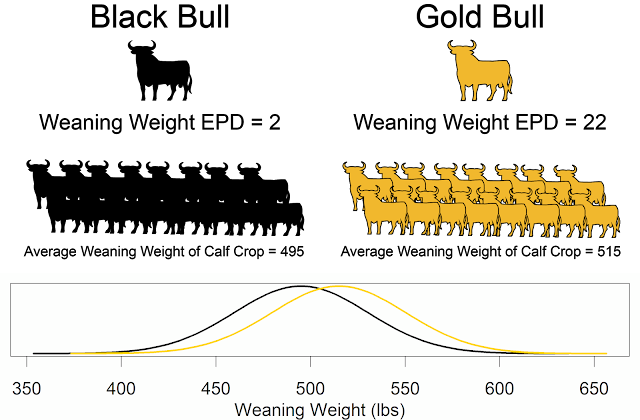 Larger carcasses are one way that we can produce more beef with fewer cows. Dr. Belk seemed to indicate that larger carcasses were bad, without discussing them in the entire context of beef production. In summary, Dr. Belk veered in some very strange directions that I don't think were constructive for this audience. Perhaps I misunderstood Dr. Belk's comments- if so he is free to respond to my comments. Dr. Belk did have some worthwhile things to share. 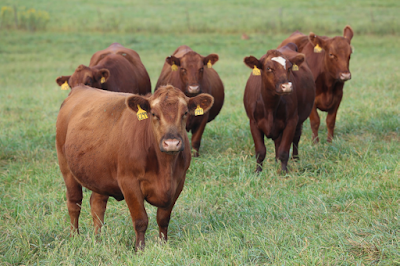 Marbling is important in determining beef palatability. But, tenderness and flavor are also very important to retailers and consumers. And if we have appropriate tenderness, flavor becomes even more important. "We need to start thinking about selecting for tenderness, juiciness, and flavor," stated Belk. How much progress have we made in improving meat quality? Part of that improvement is from going from 45% black hide in 2000 to 60% black hide in 2011. In 1995, 49% of carcasses graded choice or better, and in 2011 61% of the cattle graded choice or better.